On Thursday 29th March, Sarah joined a group of other booksellers at the inaugural meeting of the Independent Bookshop Alliance. The Indie Alliance was the brainchild of Simon Key who co-owns the Big Green Bookshop in London's Wood Green and it is going from strength to strength. The idea behind the alliance began as a result of Waterstones getting an exclusive deal to sell 5,000 signed special editions of The Book of Dust when it was released in October last year. 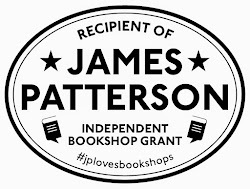 Simon proposed setting up an independent bookshop alliance through which indies can work together to negotiate better discounts and exclusive offers with publishers. The meeting on 29th March was hosted by Simon and Big Issue founder, Lord Bird. The forum heard from a range of representatives including author Ben Aaronovitch, CEO of the Arts Council Alan Davey, Random House Group Chair Baroness Gail Rebuck, MD of Profile Books, Andrew Franklin and MD of the Booksellers Association, Meryl Halls. A key theme that reappeared was the importance of bookshops and the impact that they have on the local community. 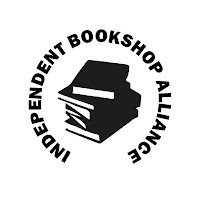 The floor opened for discussion with booksellers in attendance encouraged to offer views and opinions on how the Independent Bookshop Alliance could work and what would make sense as an initial area of focus. The conversation flowed, and it became clear that there was certainly an appetite in the room for the independent sector to group together to become a more powerful force. Key points included the idea of independent shops working together to secure indie only exclusive publications and pitching as a collective for events. Discussions took place about partnerships being fostered between the Arts Council and independent bookshops and there were several points raised about Business Rates and the work that needs to be done to address the hikes that are crippling some businesses. The meeting ended as the conversation was in full flow, so a group of booksellers and publisher representatives joined Lord Bird, Simon and Meryl for a drink to carry on the conversation. The group had a lot of energy and the hope is that this alliance will really take off. London Book Fair will be taking place from 10th - 12th April, during which the publishers will be pitching their new books to booksellers. After the publishing pitches are over, members of the Independent Alliance are being asked to vote on which titles they would like to see as Indie only exclusive editions. Once we see the outcome of those votes, the alliance will start approaching publishers to see what deals can be done. 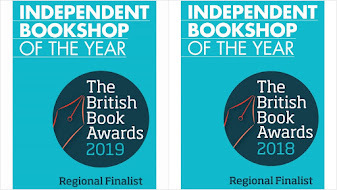 It's an exciting time in the world of indie bookselling and it's great to know that so many passionate and experienced booksellers are keen to get together to make some changes. Keep your eyes peeled for updates and check out our Facebook album for more pictures from the meeting.